Rajgir Mahotsav 2016: Kalpana Patowary - Maa-e-Ri - a lyrical conversation with Mother Nature. Kalpana Patowary - Maa-e-Ri - a lyrical conversation with Mother Nature. Once stardom was a dream to me, now here I don’t think myself a star or something,but yes atleast I feel I m a chosen one,u make me feel so many times that I m special.Here want to thank u all from the core of my heart…….Life is very much busy here in Mumbai, the dream city of every Indian singer. But sometimes even in busy schedules, deep inside my heart it feels some kind of a vacuam, an emptiness.Stardom, fame, success… everything becomes meaningless to me, as if everything is fake. Why am I feeling like this? What is this emptiness?.... I asked myself. Was trying to find out the answer for so many days, months and suddenly one fine day,in that sparkling moment I realized that a different kind of journey had started deep inside my soul. For a while, I was shocked to realise the answer to my anxiety...so simple it was!! Answer was hiding in my childhood, or in a way in Mother Nature. I was a child of the beautiful hills of North-Eastern part of India. I have grown up playing with concrete and sand, breathing the breeze of beautiful and serene greenery, bathing at waterfalls...... Precisely, I have been brought up by Nature; in short I am daughter of Mother Nature! Years have passed away. Life has become more and more mechanical with success and fame. Dealing with this world I never realized when and how I have lost the touch of Mother, the Earth Mother. I feel pain and unsafe....wounded within. But now again I am returning to her lap. I can feel the unconditional love of Mother Nature, an unknown silence is drowning me to the sea of peace...its blissful! I think this is happening to the whole of our race. We are detached. So just trying to share the nectar of Nature through my music with all of you. “Kalpana Patowary” - as we all know is from Assam and is the darling of the North Indian belt and has carved herself a special niche in the Bhojpuri music world credited with reviving and promoting Bhojpuri music industry all over the world and bringing back traditional forms of music to the International stage. Indian folk music particularly of Northern India has been showcased and revived by her in a big way. “She gave Bhojpuri Music a new twist”. She has been credited with reviving and promoting the Bhojpuri music industry all over the world and bringing back traditional forms of music to the International stage. 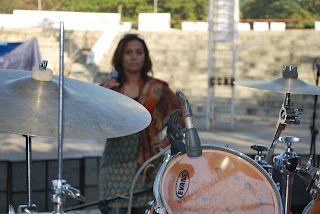 Indian folk music particularly of Northern India & North East has been showcased and revived by Kalpana in a big way. Her passion for traditional music, the burning sense of rhythm and grooves made her work in an album together with world class India’s virtuoso percussionist and bandleader Trilok Gurtu, one of the most dynamic and prolific musicians on a new project MASSICAL released from BIRD JAM label Germany and collaborated with international unique musicians like Carlo Cantini, Jan Garbarek, Phil Drummy, Roland Cabezas, Stefano Dall’Ora. She also gave a vocal performance in Commonwealth Games Delhi 2010 for theme-Celebration track-Assamese with music by Ranjit Barot and produced by BHARAT BALA PRODUCTIONS. At present her world music album The Legacy of Bhikhari Thakur is about to release from Times Music. Maa-e-Ri- the upcoming hindi music video album of singer Kalpana will be releasing soon. This musical presentation is a subtle change of direction for Kalpana, who is best known for her item songs. But, despite not bowing to market dictates unlike many of her contemporaries, this versatile folk singer has been able to carve her niche in the world of folk music.As she says-this album took 5 long years to complete.in a waythis whole project grew with my mental state level.there are total 6 tracks. The title track is in two versions-hindi and english both. Talking about the theme of Maa-e-Ri, Kalpana says “There’s a deep wound in people that they have been so cut off from the source of their being-- their mother, Earth Mother”. We are so caught up in these modern times that we forget about the laws and principles by which we should live. Once we know these laws and drift from them, we get in trouble. Now, we really are in a troubled situation with raising natural calamities like tsunami, earthquake, global warming or glaciers melting. Mother Earth is reacting towards our disrespect for her. Now is the time to reconnect with Mother Earth. How we treat Mother Earth will affect the children yet to be born. Let’s consciously think about the generations to come. Kalpana Patowary’s Maa-e-ri is all about celebrating the beauty of Mother Nature shot in the North-eastern region, yet an unexplored area of India, exotic and richly diverse. Dawki is an oft visited place in Meghalaya, more so for tourists who regale at the sight of the plains of Bangladesh as they stand at a vantage point amongst the green rolling hills at the Indo-Bangladesh border. Another exotic retreat point where the videos have been shot is Mawlynong, which BBC has flashed in its chronicles as the Cleanest Village in Asia. The Living Root Bridge, a phenomenon to be seen to be believed has been rightly brought up to world’s notice through this audio-visual. This video has brought up some of the hidden treasures of the North East India in particular. A part of the video has also been shot in Cherrapunjee, once the wettest place on earth. Mae-e-Ri, apart from portraying the rich tapestry of some of the places of the Northeast India has also laid ample emphasis on the attires, which is an array of attractive colors from the looms of the place. The first attire is an ensemble inspired from one of the tribes of Nagaland, a state known for its mesmerizing topography, its unique ethnic culture, language, food and of course its courteous and humble people. The video also captures traditionally garbed Naga tribesmen performing to the beat of Kalpana’s song. Second attire is unique to the Darrang district of Assam. This is mostly worn by the women during the performance of the Deodhani Nritya on the auspicious day of Maa Manasha Puja. The motifs woven into this attire are usually inspired by objects from nature, like birds, flowers, trees, etc. This happened accidently. Way back in 2001,when I aspired to become a national level artist, I was very much into western kind of singing but then happened Bhojpuri folk and somehow I got so busy. This genre singing got lost. Here I have to give the credit to MUSIC BOX – the most heard album in my entire life…… Mariah Carey, my inspiration while I was in tenth standard. Long after fifteen long years now I miracle even I have my own recording studio in Mumbai named after her most famous and saleable MUSIC BOX. Speaks love! This is me in its very core. Silently its arouses the urge! I think it’s a blessing that I got the very opportunity to explore music thru its different genre from soulful western number to raw and rustic folk style, from Indian classical music to playback singing. But the most liked and talked about singing style till now is the peppy,sensous rhythmic style of North India. 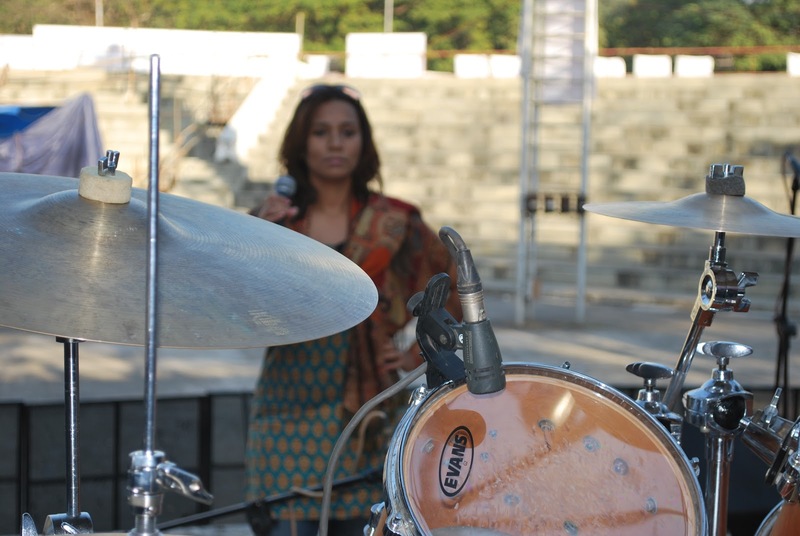 So I had to sing Piya hai Re.Without this zone Kalpana is not complete…..I feel. While Piya Hai Re is the most comfort gener.Maula happened when I was most confused in life…seeking the truth. Bhakti or Vaishnav movement in India gave birth to a new genre of religious poems and songs in 14th - 16th century. The same trend was brought to Assam by Srimanta Sankardeva and later his disciple Srimanta Madhabdev in the form of 'Borgeet'. Almost all Borgeets were written in the Brajavali Language. Apart from Assamese influence, Bjravali has influence of Sankskrit, Maithili, etc languages popular in other parts of India during the Bhakti movement. This particular borgeet says-Yashoda, mother of Krishna was awakening him as it was dawn and she wanted to see her child’s (Krishna’s) beautiful face. She says that Dama & Sudama (krishna’s friends) were calling him (Krishna) & elder brother Balram also has arrived. So Krishna should also wake up to lead the cow boys to cow the surabhi (cow). Now, for me, lyrically I see this particular borgeet as a celebration of “innocent childhood” where every moment was magical and blissful. I don’t want my folk music to be trapped in our villages. Yes it’s safe there in its original form, but of no use unless we make the world hear our very soulful and meditative music. To make it global here I tried to blend the folk music of my homeland with other genres. This is world music. While rendering my vocal I was very much attached to my motherland, Assam; but while deciding the track genre I had to completely detach myself from that native zone.